The earring is a piece of jewelry attached to the ear via a piercing in the earlobe. Many people get their ears pierced including but not limited one, and sometimes the location is not settled either. 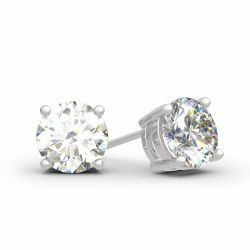 In the past time, earring may be composed of various materials, including metal, plastic, glass, precious stone, beads, wood, bone, and others. Now the texture of designer earrings is mainly about metal, precious stone and beads. The common earrings contain stud earrings, hoop earrings, drop earrings. Nowadays, earring is the necessary jewelry for women, not only could it adorn looks, but also embellish face-line. 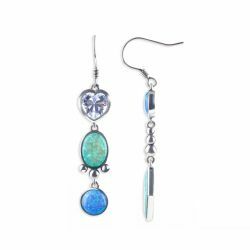 Jeulia great selection of earrings for women comes in an array of different styles such as jackets, climbers, hoops and more. All earrings are made of sterling silver and own the lowest price among jeulia jewelries. 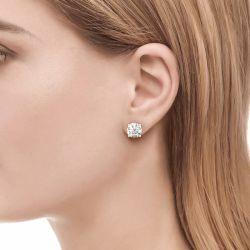 In daily life, stud earring is the first choice and befitting for any outfits; whether special occasion dresses or day dresses, drop earring can be qualified for all looks. 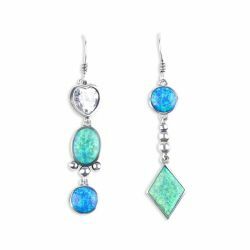 Asymmetrical earrings are our exclusive style and are the wonderful finishing touch for women’s look.